There are 7 reviews of Luna Rossa Eau Sport. Ok, after 5 positive reviews, here goes :) I'll admit upfront, I've never smelt the original Luna Rossa, so I can't really compare it with that. I'm about 20 minutes into a sample on my wrist, and the overall impression I'm getting is linear lavender meh. Breathing in deeply there's a dark, slightly smoky edge to that lavender, but I really have to go looking for it. It reminds of the sweets you can get in the UK - parma violets. It also reminds me of Tempore Uomo by Laura Biagiotti, although they don't share many notes. Hmmm. Yeah, I'm going to stick with my original 'meh'. It isn't unpleasant, but I'm going to file my 10ml as a safe, work option only. A nice flanker of a flanker. ;^> LRES has a slightly pungent note injected into it, mellowing out the inherent sweetness of Luna Rossa and Luna Rossa Sport. This one has my head scratching as to what other scents it reminds me of...nevertheless, a nice, slightly muted version of LRS worth checking out. Or Prada Luna Rossa Cologne? The best flanker so far to the original Prada Luna Rossa. 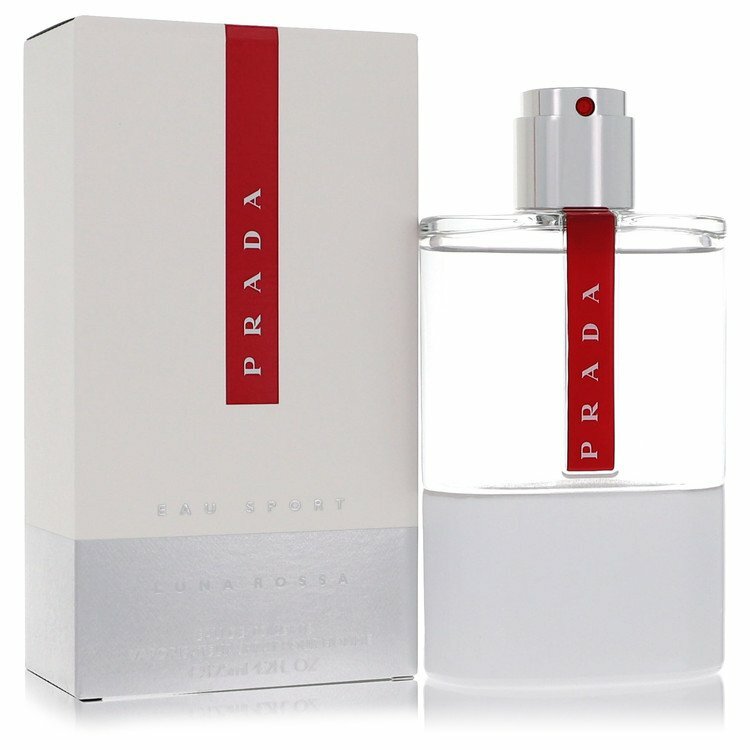 How to describe it... Prada Luna Rossa was a great scent, very pleasant and well balanced, still very crispy. 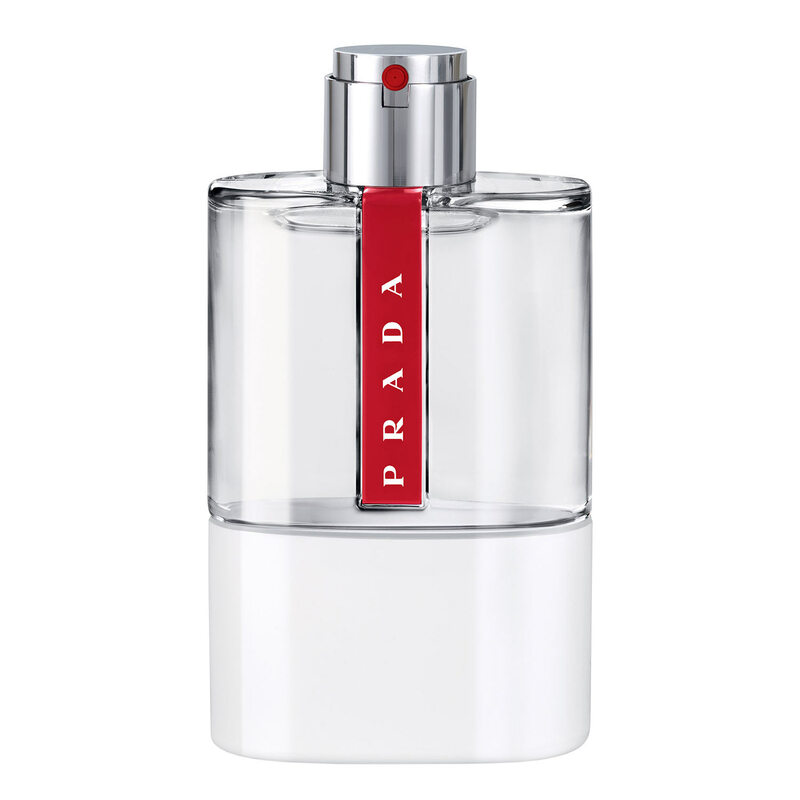 Prada Luna Rossa Eau Sport is extremely similar to the first Luna Rossa, but more airy or powdery and less crispy. It somehow feels like a fresh fragrance from the 90s like acqua di gio, or CK one, but with the smoothness and sophistication that you find in some fresh fragrances made nowadays. One can see the nose of Daniela Andrier behind, and resemble aspects from the "Les infusions"
They fixed LRS! I enjoy every iteration of Luna Rossa. Eau Sport is brighter, fresher, cleaner and overall less obvious. It makes it easier to wear. more transparent too. Almost linear but in a good way. Communicates high class-ness if that's a thing. Been spending the last few days with this frag....and here are my first thoughts. Yes, FINALLY a Prada Luna Rossa I will wear! I've owned/sampled the entire LR line. And honestly none of them really struck a chord with me. They were all pleasant enough, just not my style. Thought the original LR Sport might be a winner upon first spray, but quickly found it irritating and too strong/overbearing with that LR soapy lavender smell of the original IMO. 5/16 update-The hot weather hasn't hit here yet, but....longevity and projection are definitely on the weak side with this one. Nice scent, but I think for a '16 spring/summer scent I'll be using L'Homme Ultime much more. 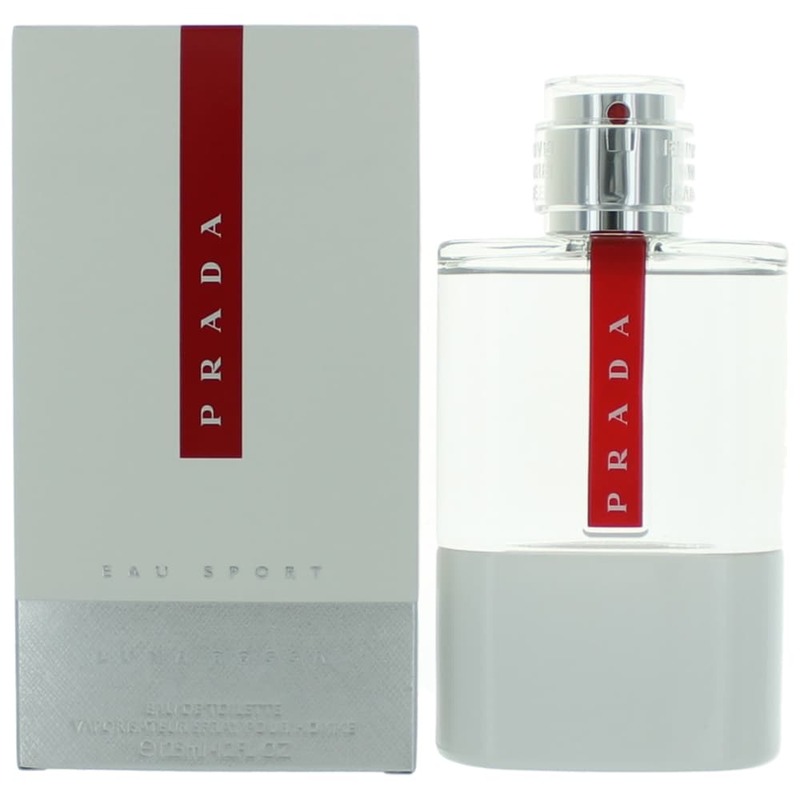 Prada Sport Luna Rossa EDT Eau de Toilette Spray Sample .05oz/1.5ml New Fresh! There are no member images of Luna Rossa Eau Sport yet. Why not be the first?